This Hunza water recipe using Himalayan rock salt comes from simple at-home and an easily obtained inexpensive gourmet ingredient. You and nature create this Hunza water. It's inspired by research discovered from several longevity societies, not just the Hunza people. The term "Hunza water" popularized the idea of "live," pristine and highly mineralized water enough to warrant its further study, so we'll name this recipe Hunza water. Various isolated societies discovered by doctors, explorers and university professors surprisingly had a water source that some call "glacial milk:" pristine water that tumbles through the sunlight over mountain and ancient sea bed minerals. The idea of Hunza water- whether or not the Hunzas were the healthiest of the longevity societies found - opened up a new awareness in health, so this recipe called Hunza water is a combination of ancient Himalayan "live" minerals (Himalayan rock salt) and water with enhanced "chi" from the sun, all from the easily accessed inexpensive fair trade ingredient called Himalayan pink salt or Himalayan rock salt, water, and a sunny window. It isn't mysterious and woo-woo - Himalayan pink rock salt is sought out and used by gourmet chefs from around the world. But it does have almost mysterious reported health qualities: It is widely reported to be from a 250 million year old ancient sea bed from a pristine eco-system, contains at least 84 minerals that match the human body's "inner sea" when in perfect health, heals us from a refined salt diet while tasting delicious and satisfying our salt craving, helps return the body to its highest vibrational state. To get this "live" vibrational quality, this Hunza water uses a product called sole made as described below. Himalayan pink rock salt used in this Hunza water recipe comes to us in fair trade manner in ground powder the consistency of table sea salt for use as one would table salt, as larger chunks about the size of rocks you could hold in one hand, larger gourmet cooking slabs and salt lamps that cleanse the air with negative ions. For this Hunza water, you want the larger chunks the size of a hand-held rock. I can get these chunks from my regular grocery store for around $3 each. Online I've seen them for about $30 per 2 pounds. This Hunza water recipe cannot be replicated by simply dissolving ground powdered Himalayan pink table salt into a glass of water. Somehow proponents of making sole say it's healing charge doesn't take place that way, and sole actually contains far less sodium than sprinkling ground salt in water, while saturating the water with the 84 minerals and giving it the life vibration we're seeking. Fill a sterilized clear glass container with the highest quality drinking water of your choice and set it in the sunny window for 24 hours. 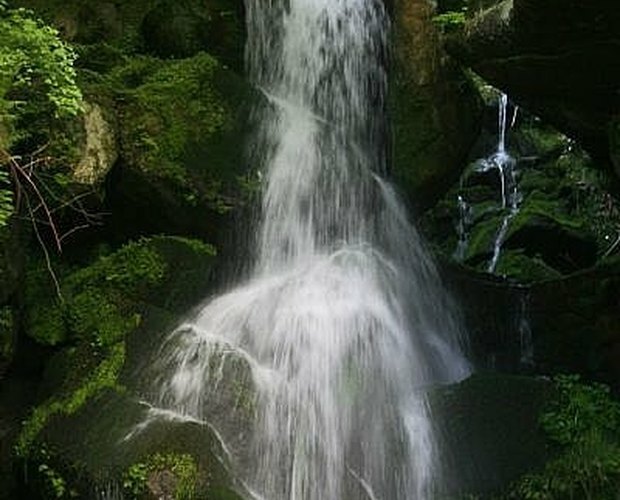 According to those who study nature, prana, "chi" or life force, this increases the chi of the water, as happens naturally when nature's water travels down glaciers and mountain sides in the sunlight. Place as many Himalayan pink crystals (not ground Himalayan salt, but the large hand-held rock-sized crystals) in another recycled sterilized glass jelly jar, preferable one without a metal lid, as metal is reported to react with the salt crystals (even chefs who use gourmet sea salt use wooden or plastic to work with it). You'll probably be able to fit about 3 in the jar. 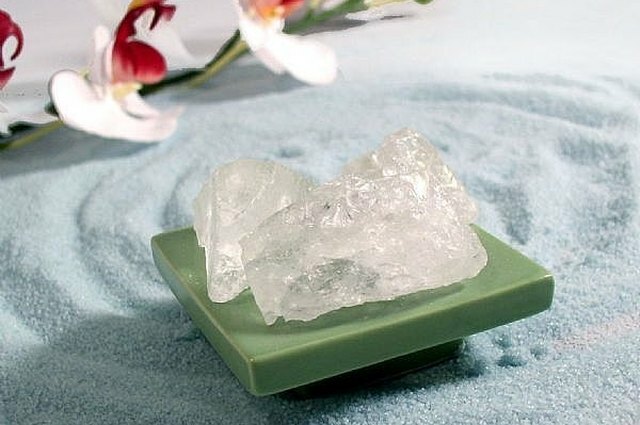 Fill this with your sun water, pouring it over the crystals, then refill the sun water and replace it in the window for the next day's use. Let the water and crystals sit for 24 hours in the jelly jar. Within this time, the water will be as saturated as it can be. This water is called sole. 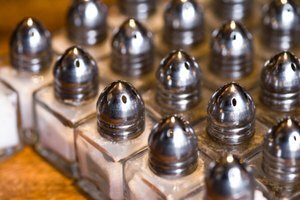 For each person involved, you'll remove about a teaspoon of sole a day, and continue to top the jar with more water as long as the salt crystals are still visible. Once gone, start over again. This jar of sole will last a very long time. With a non-metal spoon, remove a teaspoon of sole into a drinking glass and fill that glass with sun water (the amount of drinking water added to the sole doesn't need to be exact, most use about 8 oz.) 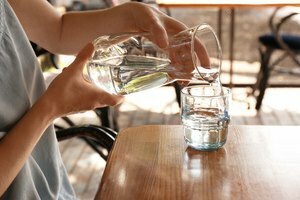 Drink first thing in the morning on a completely empty stomach and wait for about a half hour before consuming anything else, including regular drinking water. Proponents of this method state the higher vibrational charge will last for 24 hours, so repeat each morning. Some state if cleansing appears to be happening to your body at an uncomfortable rate, put less sole in your drinking sun water in the morning and work up to the teaspoon. Reader is responsible for checking with a professional health care practitioner before choosing any health practice, food or drink. Author disclaims liability and offers article for educational purposes only. Articles by this author are registered with the national copyright office. Parents are responsible for any activities involving their children. 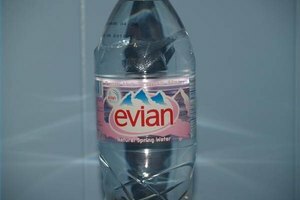 What Is the Origin of Evian Water? 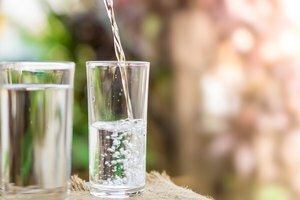 Alkaline water has made a splash, but is it really that good for you?